Today I want to talk about a cool charity project that my friend Annie is doing. This was originally posted on my other site, earlier this evening, but as it's a wonderful venture I wanted to speak about it here too. Last year, Annie Roig-Pate began work on a special item for an upcoming Causeplay charity event. Annie is a really cool person, not only is she a well known cosplayer in the Tomb Raider community, perhaps best known for her amazing cosplays which she posts under the name The Cosplay Mom, but she's also supports many projects which gives back to the cosplaying community. One of those projects is the community driven item that's being handmade for a Causeplay event, later this year. 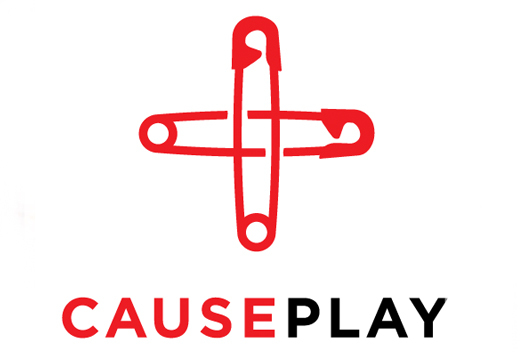 For those who don't know, Causeplay is a charity project created by Meagan Marie, who's the Senior Community Manager at Crystal Dynamics. She's very nerdy, incredibly sweet and seriously dedicated. Her organisation combines cosplay and charity and has made a positive impact across the globe. It was officially established in 2014, but various charity auctions took place in 2013, in the lead up to the official unveil. Since it's creation, over $10,000 has been raised for causes like the Mercy Corps, American Red Cross, Proteqt Children's Foundation, The Trevor Project, Room to Read, Nepal Youth Foundation and the National Eating Disorders Association. Meagan arranges auctions more frequently, in the space between major store events. Traditionally the items have a cosplay theme but they could also be related creations such as props or designs or event signed sketches. Staying with the cosplay theme, Annie has been hard at work collaborating with other cosplayers to create a cosplay-inspired quilt. The cover will feature squares sent to her from all across the world. The contributions are created using left over material from previous cosplaying ventures, but redesigned to represent a character. The idea is that each square will be linked to a specific cosplayer, character and adventure. For instance, each piece will be representative of a character and must be redesigned to be recognisable. So if the character had a special badge or a memorable patch, that would be the perfect thing to recreate on the square. When I first heard about the item, I was really excited. Not only were some of my favourite cosplayers taking part but handmade covers have a habit of doing amazingly well at charity auctions. It's items like these which instantly shows a very clear sense of passion behind the work. Handmade creations demand immaculate detail, dedication and patience; things which adds to the appreciation and value of the item. There's something really lovely about owning an item that has been carefully constructed by someone over several weeks or months. This is Annie. Annie is pretty awesome. Photo from her Facebook page. For Annie this has been months in the making, between talking to Meagan about the details to collaborating with fellow cosplayers, her focus now falls on crafting the piece. Last December, I asked if I could talk about it on my sites. She checked with Meagan and shortly after, I was given the go ahead. It's a topic that up until this point only was talked about behind close doors and on private channels. The chance to talk about this for the first time in a post is not only a great privilege but one I'm also treating with care. The official announcement containing the full list of contributors, prices and details of the quilt and event, will be made closer to completion. 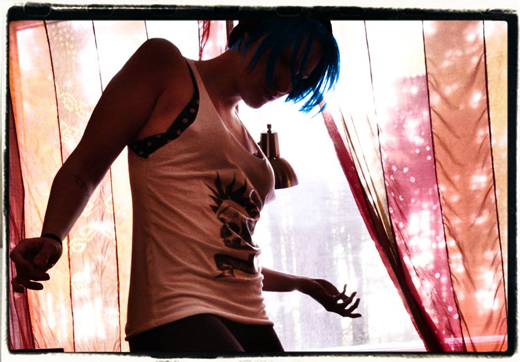 In the meantime, make sure to follow Annie on Facebook, and the Causeplay Store on Twitter and Facebook! If you're a cosplayer and you would like to get involved with the project, there's still time! You can contact Annie on via her email address at thecosplaymom(at)yahoo(dot)com or send her a message through her Facebook page for more information or for details to send your own design.